Please don't forget the FOTW cake sale tomorrow after school. 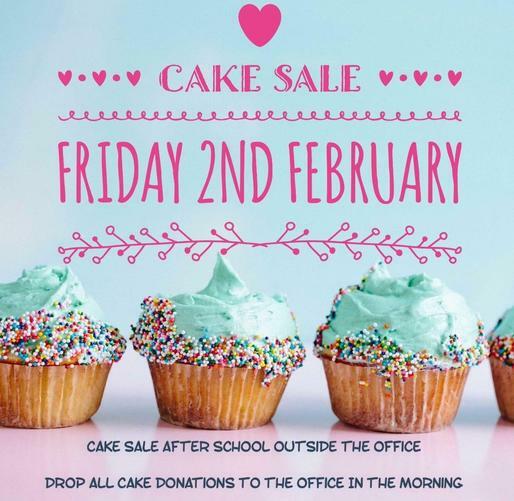 Please bring donations to the school office in the morning and don't forget your pennies at pick up so you can buy some lovely cakes. If you give your child any money to bring in, please pop it in a named envelope. All the money raised will go towards buying wonderful things for your child's school!